It’s considered by many as a great achievement in website development but if you want my take, responsive design is most often the euphemism for stretching production so that, at best, the website won’t look broken or just ugly on smartphones and other devices. I’d argue that when you don’t develop specifically for mobile, that is, when you try to take web and artifact it into mobile rather than the other way around, you fail to fully leverage the platform. In short, you fail to win. I expect a lot of TL:DR at this point, but stick with me to follow the argument. Here are two examples of companies that won by doing mobile-first and by not resorting to responsive design. The first example of mobile-first is Instagram, which wasn’t even mobile-first, but was iPhone first, reaching 30 million users before they released the Android platform about a week before the Facebook acquisition. If you wanted web versions of your photos you had to go to a website like Webagram or some other service that used the Instagram API to export it. This was mainly because the guys at Instagram really couldn’t have been bothered by the web artifact–they need to optimize to mobile. In doing so, they created something that was really valuable: it wasn’t only photo sharing, but became almost its own social platform. Consider the use-cases of Instagram–you could easily upload a photo to Facebook or Twitter but why is Instagram different? I think it has a lot to do with the confluence of the social network they created, the mobile context, and access to high-res cameras that look even better when they have filters. And there’s a benefit to that, too. 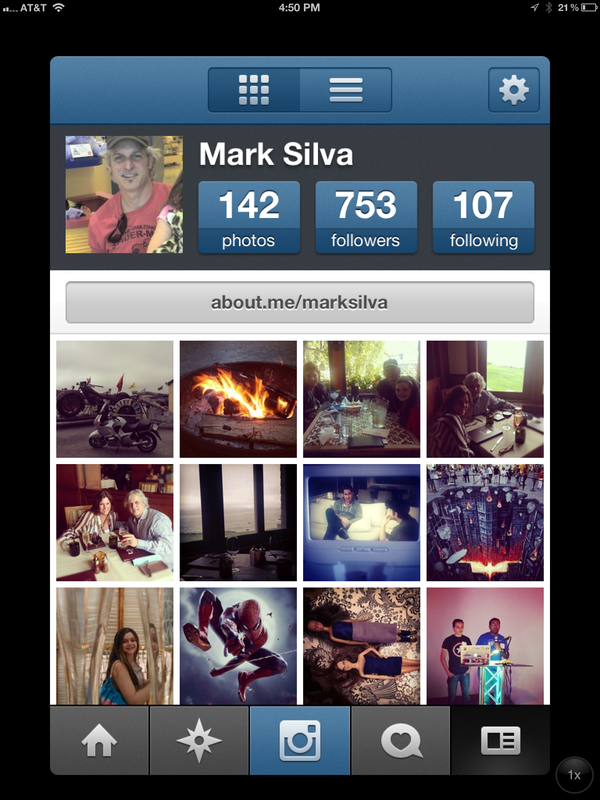 Instagram is a great example of mobile-first winning, and their focused usability has benefited them of them doing the mobile-first approach. Side-rant About that valuation: When broadband hit 50%, YouTube happened. Not just a video site but one optimized to the growing demand, access, sharing, embedding and uploading of videos. Broadband was a key technology hurdle that combined with other Web 2.0 platform development like blogs & socialmedia to propel a video gem into viral distribution/consumption. At the time YouTube was acquired for $1.65 billion in 2006 (or about 1% of Google’s valuation at the time), many skeptics considered the price a bubble premium for a team of <70 and questionable IP. As YouTube’s dominance and role grew, those skeptics were proven wrong. YouTube grew Google’s growth and today delivers more mobile video views in a week than the largest mobile video network does in a month. Google won by understanding that YouTube was more than a video sharing service but a platform that was born from new consumer behaviors and demands informed by new technology enablers. Fast forward to Instagram’s acquisition: $1billion for 30-million users and a team <15 (about 1% of Facebook’s pre-IPO valuation, btw)? What are people saying: bubble premium; over-paid; etc. I believe the dynamics are the same–emerging platform born out of new consumer behaviors and needs informed by new technology enablers which Facebook can use to drive more growth. If Facebook is as successful at integrating the platform and team as Google was with YouTube we’ll look back a few years from now & admire the vision and value Zuckerberg showed in this deal. And, that’s why product development with a focus on device-level exploitation will unlock growth, new forms of behaviors, utility, usage and loyalty and win. 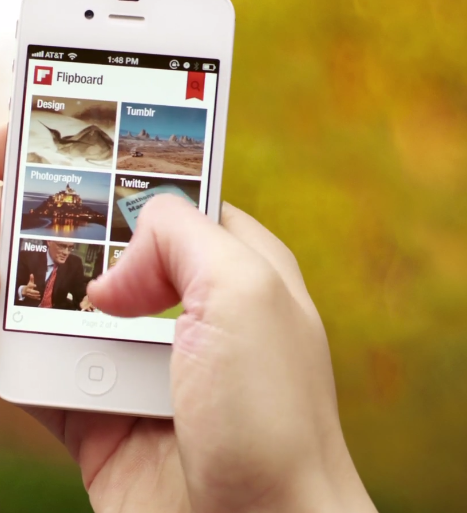 The second example is Flipboard: it launched as a massive hit on the iPad. It is a reader app and in my opinion, was what would have happened if Steve Jobs had designed an RSS reader. It was a beautiful flow of your friends’ and interest-graph’s social commentaries flowing into a really well-designed page reader. For me it quickly replaced the NYT and other offline indulgences over weekend coffee. But, it took them a year and half from they time they launched it on the iPad to deliver an iPhone version of it, not because they were incompetent or deprioritizing the phone but because they were that thoughtful and the challenge that great. Could they have done a responsive design version? Of course they could have, but the importance of getting it right for the aspect ratio, context and use case of the iPhone versus the tablet made responsive design a non-option. It may have taken them a year and a half to launch, but the iPhone version is absolutely stunning. It’s as good as the iPad but with the different use-case of the iPhone. Some businesses argue about not seeing the benefit of optimizing to mobile, but with smartphone penetration at over 50% and smart phones accounting for 2/3 of phones being sold right now, building for mobile today isn’t just a nicety but a necessity. It’s how people and devices are going to consume, and my guess is that your weblogs are going to reflect that with the number of people hitting it with tablets and smart phones. I’d also hypothesize that your growth over the past six months has been dramatic in terms of the amount of traffic you’re getting from mobile. Mobile-first isn’t just about prioritizing, but producing content with staying power, something that becomes relevant to users because the interface makes sense within the context of their mobile use while also making use of the platform allowances. People are using their phones in certain deliberate ways, so invite relevance by speaking directly to their situation, or fall into obscurity. For example, the eMarketer report noted at the beginning of the post notes that travelers secondary actions are phoning a company directly or pulling up maps for directions, a “result of reluctance among travelers to navigate brand websites on mobile devices.” Users seek the most efficient, immediate path and inconvenient interfaces on small screens aren’t it. With my hard-line focus on “versus” in the Responsive Design and Mobile First debate, it’s worth noting that in nearly every digital argument I’ll usually find my way to the “And” conversation. Is there a place for Responsive and Mobile First? Perhaps if it’s approached with the strategy that both work together rather than in succession. At the recent Mobile Media Summit in Chicago we heard from Rod Rakic, Director Digital Innovation, Sears Roebuck and Co. that they “see massively more revenue coming through mobile web vs. native apps.” As guy leading the 200-person UX group at Sears, the #3 etailer behind Amazon and eBay, he knows of what he speaks. Rod makes the argument for translating websites to mobile via responsive design and in a phone interview Rod was also quick to add that the company has a full Apps development effort as well–the “And” strategy. We talked about how important App user ratings and reviews are to continued discoverability, recruitment and conversion of new users as well as their strong search-signal/influence. You don’t get user ratings & reviews with a m-dot com, so advantage Apps and mobile-first in this regard as well. Responsive design is a good tool and start, and I still argue that companies shouldn’t be thinking about their content on mobile as websites alone, but as Apps first. If we were to start looking at the the mobile approach first we would be thinking differently not only about the content delivered, but how it’s used. This entry was posted in Advertising and tagged Apps, Facebook, Flipboard, Instagram, Mobile, Responsive Design. Bookmark the permalink.